We all enjoy the look and feel of a tidy space, whether for work or living. However, the busyness of life often creates chaos and a shortage of time and energy. Thanks to Marie Kondo, tidy-up fever is sweeping the nation, and we’ve got a few tips to get the most out of spring cleaning. Confession: I was one of the five people on planet Earth who had not watched an episode of “Tidying Up with Marie Kondo”; however, 15 minutes into the first episode and I was hooked. Kondo is author of the New York Times bestseller "The Life-Changing Magic of Tidying Up: The Japanese Art of Decluttering and Organizing." Her process of tidying is known as the KonMari method and involves a five-step process, which begins by addressing—in this order—clothes; books; paper; komono: kitchen, bathroom, garage and miscellaneous; and lastly, sentimental items. 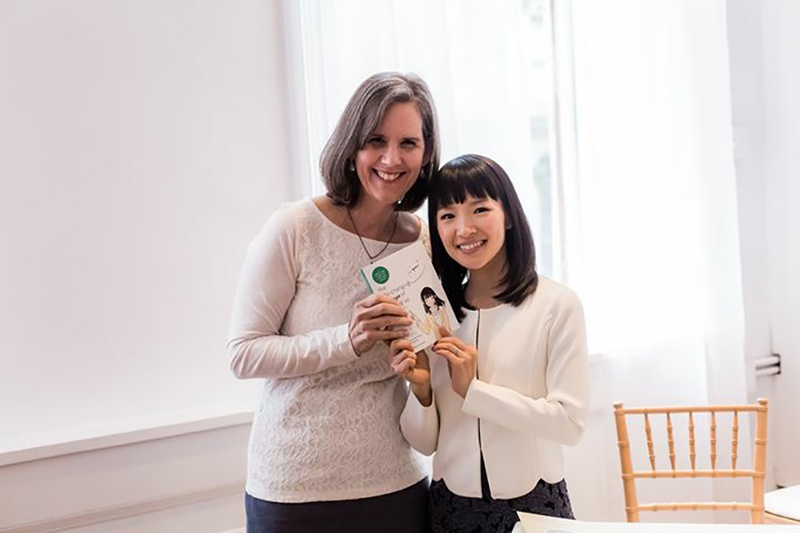 Sue Fehlberg and Marie Kondo. 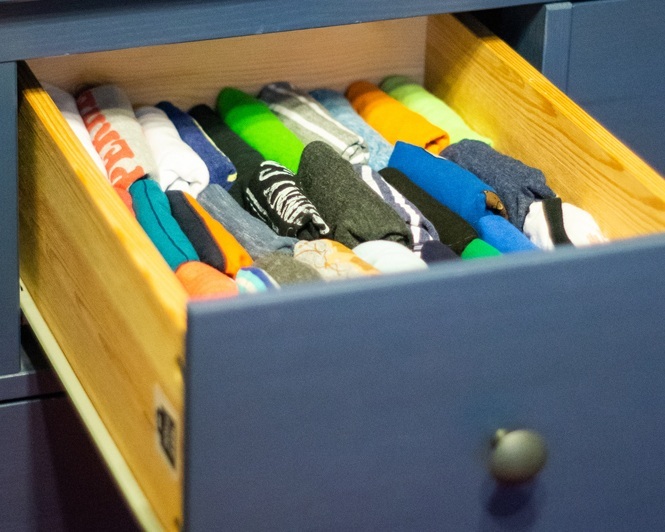 To find out more, we spoke with Sue Fehlberg, who is one of only 230 certified KonMari consultants, and the only one in Arkansas. “People are so busy, we are inundated with information, and most of us just want peace when we come home,” Fehlberg said. That’s just one reason why Kondo’s method is wildly popular. “Being surrounded by stuff is often diminishing. Others choose to tidy. so they don’t leave a mess for their children to deal with, and younger families are addressing clutter because they want to spend more time with their families rather than having to spend that time dealing with stuff. Warren McBride learns to tidy up. Fehlberg begins the process by helping clients visualize their ideal day, and for many it includes waking up in a clean home, getting showered in an orderly bathroom and going to an organized closet—in which you like all the clothes and they all fit—and perhaps getting coffee and/or breakfast in a clean kitchen, retrieving your keys from the appointed place and leaving for work, all with a minimum amount of stress. Notice there’s no frustration due to an ill-fitting skirt or pants or doing what I call the last 10-minute frazzle (you know, those last few minutes spent downing a cup of caffeine, looking for your keys and cursing yourself for staying up too late, before you rush out the door, praying you didn’t forget an important item such as your cell phone, laptop, diaper bag or backpack—or God forbid, the actual child). “The KonMari method is based in gratitude, being thankful for what you have, only keep things that you truly enjoy or love, and expressing that gratitude to items you decide to let go. I place a big emphasis on passing things along. When you do this, that item gets a new life because someone else can use it. There are so many charities that benefit others in need,” Fehlberg said. The KonMari method begins with clothes, she said, because generally speaking, we have less of an emotional attachment to them and because sorting through them produces a huge impact in a short amount of time. 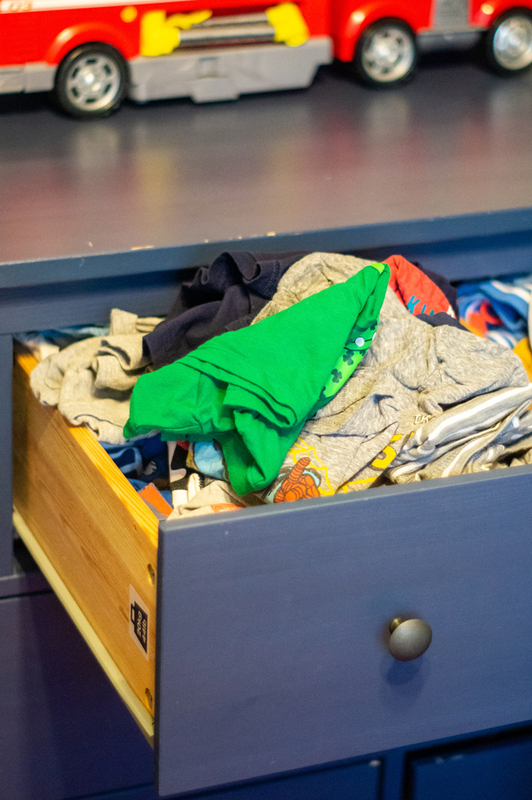 The average person can sort through his clothes in three to four hours. This is also motivating, and for women it’s often freeing because you only keep what fits and what makes you feel good when you wear it. Next: Books. Keep those that bring you joy, that you re-read the most. Pass the others on, knowing that the next person will enjoy them as well. Fehlberg does not have a magic number, and it’s not necessary that you speak to inanimate objects. Simply thinking about how much someone else needs or will enjoy a piece of clothing or book will provide motivation to release it. Next is paper, which can be the most difficult. Fehlberg divides items to save temporarily—things like warranties and insurance papers—and save long term, such as wills and birth certificates. For children’s keepsakes, create a hanging file in a bankers’ box for grades K through 12 and go through it at the end of the year. Additionally, divide all their weekly papers. They’ll usually fall into two categories: take action with things like permission slips, and papers that you’ll need to go through once per week and add select ones to the bankers’ box. The fourth category is komono, during which you’ll discard items you’re no longer using and organize the rest in your kitchen, bathrooms, garage and other miscellaneous areas. Lastly, address sentimental items. By the time, you get to these items, you’re in the swing of the tidying process and should understand what is truly worthy of your space—figuratively and literally—and what can be passed on to others. The KonMari method of tidying, if done right, is a one-time process. You’ll simply need to maintain order. Doing so will help you eliminate stress, create time to do the things you really enjoy and create an environment that is clean and peaceful. clothing, luggage, holiday décor, etc.